Anheuser-Busch InBev accounts for about half the world's top brands, but some of the best sellers are beyond the reach of multinational brewers. PORTLAND, Ore. (TheStreet) -- Nations seldom play soccer in the same style during the World Cup, so why should they drink the same beer? Even after the matches of the 2014 World Cup kicked off weeks ago, beer was still a big deal at this year's event in Brazil. Anheuser-Busch InBev is based in Brazil, brews popular Brazilian beer brand Brahma and serves as an official World Cup sponsor. According to Euromonitor, it accounts for 20.6% of the world's roughly $600 billion beer market and has enough influence with soccer governing body FIFA to get it to lean on Brazil and get it to repeal a ban on alcohol at soccer stadiums. Yet even after Interbrew merged with Anheuser-Busch and bought out Mexican brewer Modelo last year, it doesn't hold absolute dominance over the global beer market. SABMiller accounts for just 9.7%, but has 200 brands in 75 countries. 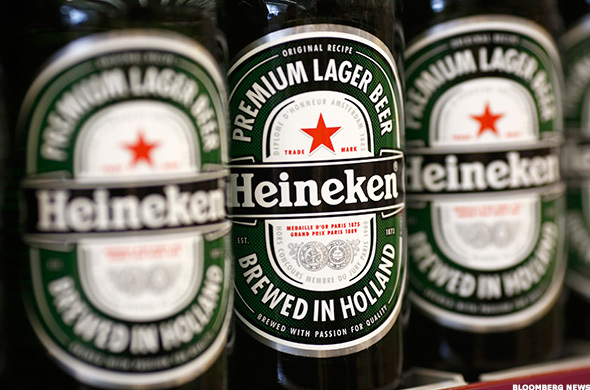 Heineken International holds 9.2% thanks to not only its flagship brand and Amstel, but its Murphy's brewery in Ireland, its Scottish & Newcastle brands in the United Kingdom, its Tiger brand in Malaysia and its FEMSA beers in Mexico and Brazil. 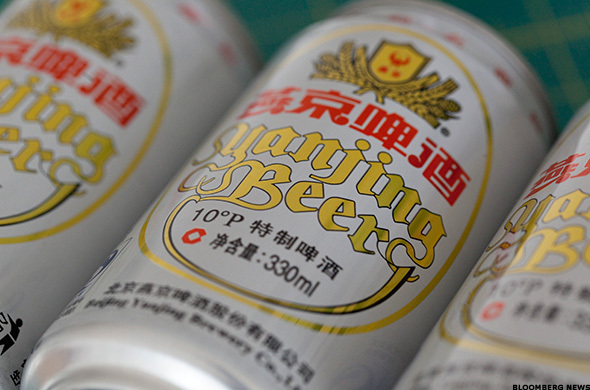 In that crowd, North America's MolsonCoors not only seems tiny by comparison at 3.2% market share, but trails Danish brewer Carlsberg (5.7%) and the Chinese trio of China Resources Enterprise, Tsingtao and Beijing Yanjing (12.7) in combined global market share. In fact, the $100 billion U.S. beer market -- especially its $14.3 billion craft segment -- seems somewhat small by comparison. You're looking at perhaps the only recession-proof beer on the planet. While light lagers lost a step around the globe and, particularly, in the U.S., Coors Light managed to gain ground. Even as MolsonCoors/SABMiller joint venture MillerCoors saw sales drop as overall U.S. beer sales fell in four of the past five years, Coors Light production and market share has surged. MolsonCoors has had to look to other avenues, including its Blue Moon line of beers, just to make up for other light lager losses -- including a slumping Miller Lite and Miller High Life. 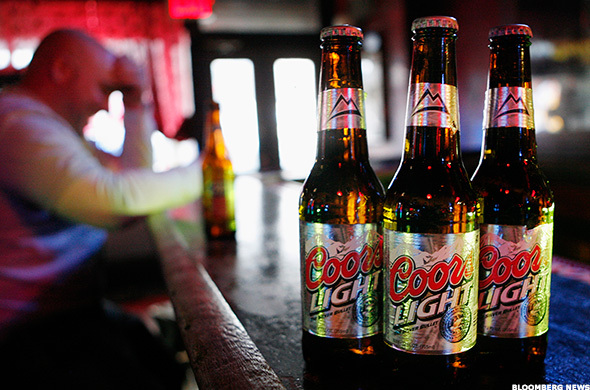 But Coors Light has grabbed a nearly 9% share of the market. By 2011, it had leapfrogged Budweiser to become the No. 2 beer in the U.S. Of the Top 5 U.S. beers, Coors Light was the only one to see sales improve since 2010. It's the one "domestic" premium light lager that U.S. drinkers still buy in increasing supply and is the fastest-growing domestic light lager brand in the U.S. not named Pabst Blue Ribbon. Brazil is an absolutely massive beer market, as Anheuser-Busch InBev well knows. Not only does it have a headquarters in Sao Paolo, but its sponsorship of the FIFA World Cup and considerable influence on the soccer governing body helped push Brazil to lift a ban on stadium beer sales for World Cup events. Brahma's history dates back to 1888, but A-B didn't begin pushing it internationally until 2005. It is now sold in the U.S., Canada, the United Kingdom, Russia, France, Australia and about 10 other countries. It's regularly among the top beer brands in Brazil and is a huge favorite in a country where 98% of all beer sold is pilsner. Though Brazil still trails North American and European countries in per capita beer consumption, the total amount of beer it consumes each year ranks it third among beer-drinking nations and ahead of Russia and Germany. As a result, this isn't the last time Brazil will pop up on this list. Welcome to China's fourth-largest brewery and perhaps the biggest prize in the battle for global beer consolidation. 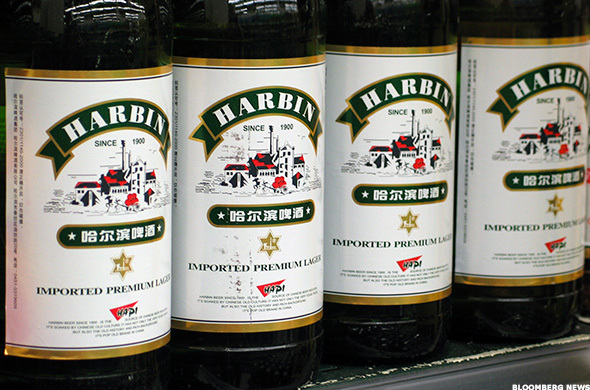 Dating back to 1900, Harbin got its start under a Russian-Polish brewer, was taken over by a team of Czechs and Chinese, fell into the hands of the Soviets and eventually was owned by China itself. The pale lager recipe held to its core of water, malt and Chinese hops, but dabbled occasionally in rice and corn as adjunct ingredients. Back in 2003, SABMiller bought itself a nearly 30% share of the brewery just to open up the Chinese market. A-B InBev didn't like that and decided to buy the whole thing a year later. It's one of the few foreign-owned Chinese brewers, which is what made battle for it between A-B and Miller so dire. At stake was a Chinese beer market that drinks some of the least beer per capita of any beer-drinking nation, but consumes the most beer in the world: Almost double the amount of the U.S.
Expect to see China's beers a lot more as this list progresses. The recession hammered Heineken a bit in the U.S., but it's been back on track both here and abroad since 2012. U.S. production is up over the past two years while market share has held steady at 2% or so. Overseas, it's been even more successful as markets in Africa, Latin America and the Pacific have all latched on to its brand. That green bottle and red star do the heavy lifting, but there's a lot going on behind that brand name. Heineken is best known for its eponymous brand and Amstel Light, but it also controls Newcastle, Moretti, Zywiec, Affigem, Fosters, Murphy's, Krusovice, Beamish and Tiger Beer. Its headquarters is in Amsterdam, but its operations and beer are spread throughout the globe. As the third-largest brewer behind SABMiller and A-B InBev, it's a lot bigger than its flagship beer's place on this list suggests. Harbin has a huge multinational brewer behind it and still somehow manages to be smaller than Yanjing. Beijing Yanjing doesn't have an enormous presence in China, with roughly 10% of its market, but it's enormous in Beijing. 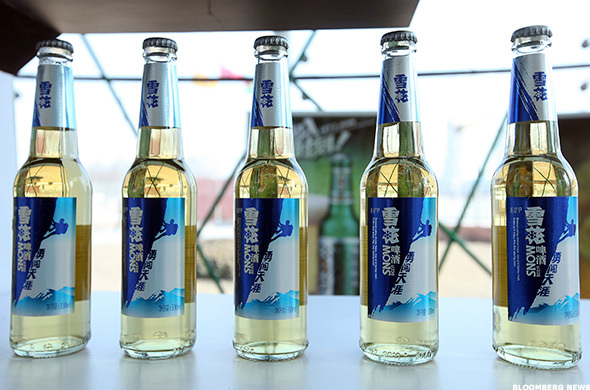 More than 80% of the city's beer drinkers choose it and its signs were plastered all over the city as the official beer of the 2008 Beijing Olympics. But that's not enough. Yanjing has made it clear that it wants an international presence and is willing to skip the 90% of China that doesn't know it and go straight to the rest of the world. It's built an empire of the strength of one city, but getting yet another pale lager out to the rest of the world could be a tougher challenge. There was a time making a beer that looked and tasted the same all over the world wasn't just A-B InBev's strategy for the Budweiser brand. In the 1960s, back when Anheuser-Busch was still just chugging along in St. Louis, a team of British, Canadian, Swedish and German breweries tried to create a global beer brand that would provide a fallback option for beer drinkers around the world. The beer was eventually brewed by Carlsberg in the U.K., by Belgium's Unibra in Africa and by Brahma in Brazil. 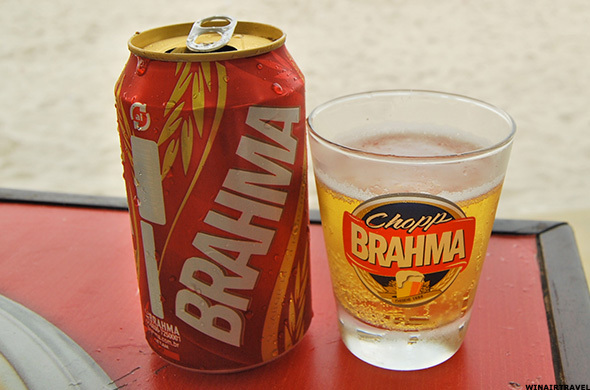 When A-B InBev took over Brahma, it gave the beer a huge push in Brazil and made it one of the nation's top sellers right next to Brahma. If you go down to Brazil and ask beer drinkers about it, they'll insist it's a Brazilian brand. In fact, it's garnered a bit of a reputation in a few other countries as a Brazilian brand. In honesty, it was born without a nation and continues to exist in other countries as a beer of suspect origins. 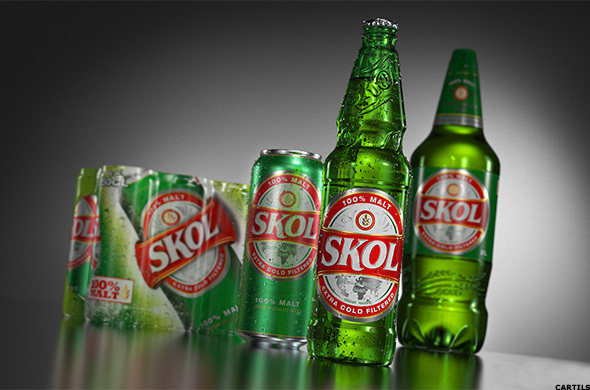 While A-B InBev and SABMiller brands at least started in other countries before being bought up by multinational brewers, Skol is a multinational beer without a country. Brazil can claim it, but consider it Budweiser long before A-B's Bud got its passport. Speaking of which, there's just about no reason to consider Budweiser an "American" beer anymore. Beyond the acquisition of Anheuser-Busch by InBev in 2008, Budweiser's popularity in the U.S. has been on the skids for years. In the late 1980s, it accounted for nearly 25% of all beer sold here. By 2012, that marked share dropped to below 8%. 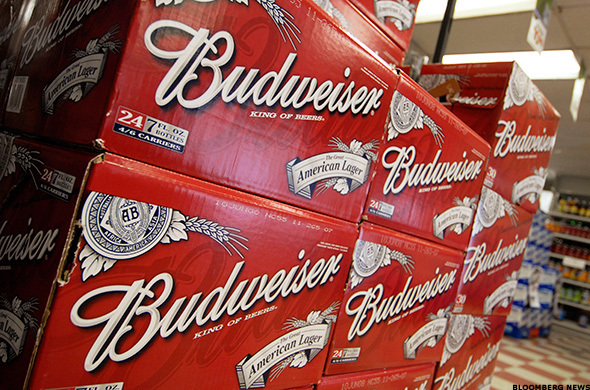 Sales of the Budweiser brand have boomed in Latin America and China, but have fallen flat here as production slumped below that of Bud Light and Coors Light and is drifting into Miller Lite territory. Still, it's sold in more than 85 countries around the world and has a large global market it can tap. Just don't count much of Europe in that territory. A-B InBev can sell this beer there, but Czech brewer Budejovicky Budvar owns the trademark rights to Budweiser there. In large swaths of Europe -- including Germany and the Czech Republic -- A-B's product is just "Bud." 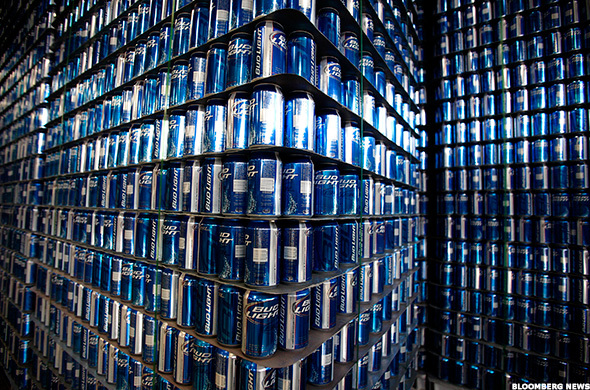 About one out of every five beers sold in the U.S. is a Bud Light. It's only been around since 1982, but Bud Light's presence in the U.S. and around the world is enormous. With the additions of Bud Light Platinum, Bud Light Lime, Bud Light Chelada and Bud Light Straw-Ber-Ita, A-B has only expanded the reach of the brand while dipping a toe into super premium beers and flavored malt beverages. Bud Light has seen sales and market share in the U.S. ebb away since the recession, but U.S. drinkers still consume twice as much of it as they do the No. 2 beer in the nation -- Coors Light. It has a long lead to lose in the No. 2 beer-consuming nation in the world. Any sales it can muster in any other corner of the globe are just a bonus. You can credit Tsingtao's 15% share of the Chinese market with its huge global popularity, but it's this beer's longtime international presence that's made it an international powerhouse. Tsingtao has been brewed since 1904, but began exporting its products 50 years later. The first bottles of it began arriving in the U.S. in 1972 and its been a staple of bottle shop import shelves and restaurant beer menus here for more than 40 years. Once owned by China itself, Tsingtao went private in 1990 and was owned partially by A-B InBev in 2009. A-B only had a 30% stake and when it was clear it would never be able to take over the brewer, it sold off its share to local interests. That's right: This is the big brewery that A-B couldn't get its mitts on. Its 4.1% of the global beer market seems tiny compared with A-B's 20.6%, but just consider that MolsonCoors' stake is 3.6%. 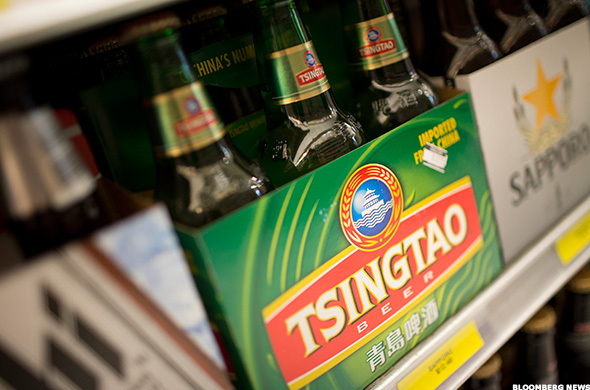 A-B had to walk away from buying the Chinese equivalent of MolsonCoors, and Tsingtao's light lager is none the worse for it. This beer didn't exist 21 years ago and is now the biggest beer in the world. Such is the strength of the Chinese beer market. Produced by the SABMiller/China Resources Enterprises joint effort CR Snow, there's really nothing incredibly special about this pale lager. A fizzy, yellow, 3.9% alcohol by volume beer brewed with mild Saaz hops from the Czech Republic, Snow is just your basic light lager with a bit less potency. Yet it's the most popular beer in China by a long stretch. It takes 80 breweries just to meet demand, and China Resources Enterprises just keeps adding more. You're not going to see it at the World Cup in Brazil and it's not exactly ubiquitous here in the U.S., but it's a prime example of what a brewer can do when there's an untapped market just waiting for it.